Which Scale is Best for You? All three scales in the mG-Scales series are NTEP certified and offer software support for Windows, iOS, and Android, making the process of adding a scale to an existing system a simple process. They are certified to sell cannabis in Washington, Alaska, and California, and come with a water and dust-proof cover. In addition, each of the three scales has the ability to connect through three different types of interfaces including Bluetooth BLE, USB, and Serial. The scales can be powered through an outlet, or by battery to allow for portable use. The mG-S322 is the perfect addition to the pharmaceutical or cannabis market. 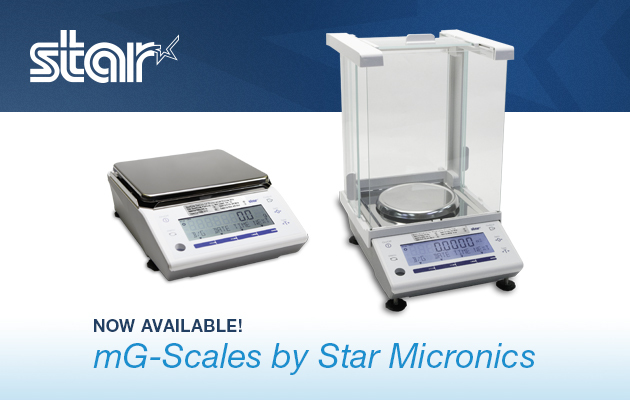 With the ability to measure substances from 0.01g to 320g, this scale is highly accurate and certified in states that have legalized the sale of cannabis. The mG-1501 is perfect to measure lightweight materials in the cannabis, pharmaceutical, and jewelry markets, and measures substances from 0.1g to 1500g. Additionally, the mG-S1501 readings of the scale can be easily read with the backlit LCD screen. The mG-S8200 is ideal for measuring larger capacities and is the perfect addition for grocery, deli, yogurt shops, candy shops, and more. This scale measure substances from 1.0g to 8200g (or 18lbs).